POWERWOLF - BIBLE OF THE BEAST VINYL RE-ISSUE (LP BLACK) | Online Shop | Wizard LTD. Album: "BIBLE OF THE BEAST VINYL RE-ISSUE (LP BLACK)"
POWERWOLF has risen over the years to one of the biggest flagships in the Heavy Metal scene of today! The band has a deep bond with Metal Blade Records who helped them over the period of four albums to become the dominating force they are today. 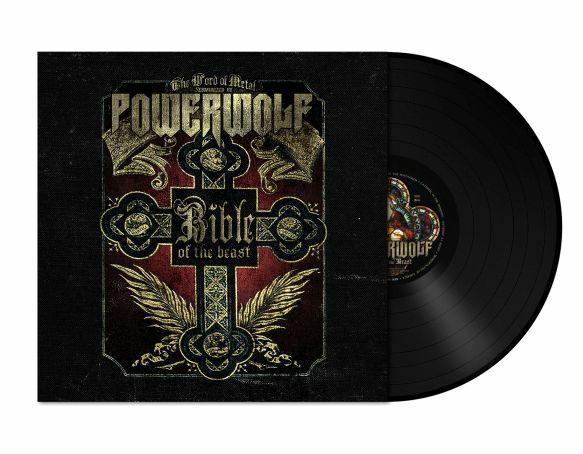 Metal Blade will now re-issue the first three longplayers in the history of POWERWOLF - &apos;Return In Bloodred&apos;, &apos;Lupus Dei&apos; and &apos;Bible Of The Beast&apos; - on August 11th on vinyl. This is the first time these albums will be available on vinyl as stand-alone releases! Coming in 400g heavy cardboard spine sleeves (inside out print), new poster and a 250g inserts and a special vinyl mastering! A must-have for all true fans of the wolfpack.